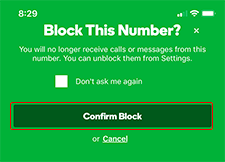 With the SmartLine service, you can block calls from connecting to your business number using the Blocked Numbers feature. You have the option to block numbers from the mobile app or from a web browser. For Android users, phone numbers are added to the block list from the settings menu. Long press on the conversation to reveal the options. On the next screen, tap Confirm Block. When you return to the call history screen, you'll see a blocked icon appear in the top left corner of the thread. On the iPhone app, you can block numbers directly from your call history. Swipe left on the conversation thread to reveal the options. Click Setup to open the dropdown menu. 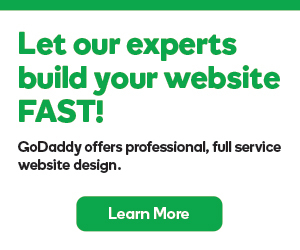 Enter the 10-digit phone number you want to block. Note: You don't need to include any hyphens or parentheses. 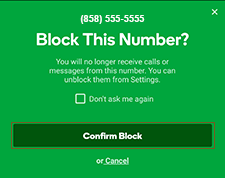 The phone number will now appear in your Blocked Numbers list.